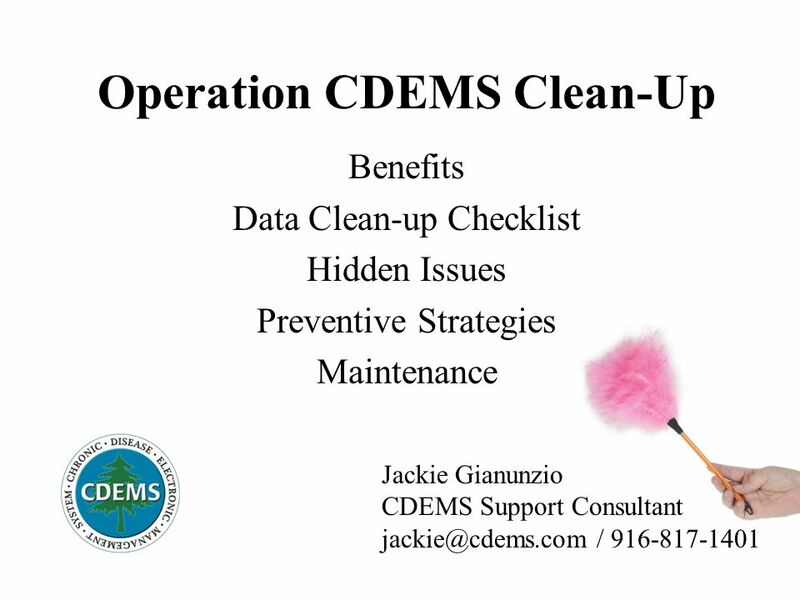 Download ppt "Operation CDEMS Clean-Up Benefits Data Clean-up Checklist Hidden Issues Preventive Strategies Maintenance Jackie Gianunzio CDEMS Support Consultant"
EMu New Features 2013 Bernard Marshall KE Software. Sunday Business Systems Asset Tracking Database Control Calibrated Equipment Manage Preventive Maintenance Maintenance Tracking. Tools & Processes for Managing Price Updates in Global Edge Presented by: Derek Kratz. Homework 1 Hints. Homework Tips (General) Go through and do the ENTIRE homework in the same time period – You will use all of the material from chap 1. Jackie Gianunzio CDEMS Support Specialist Intro to CDEMS. 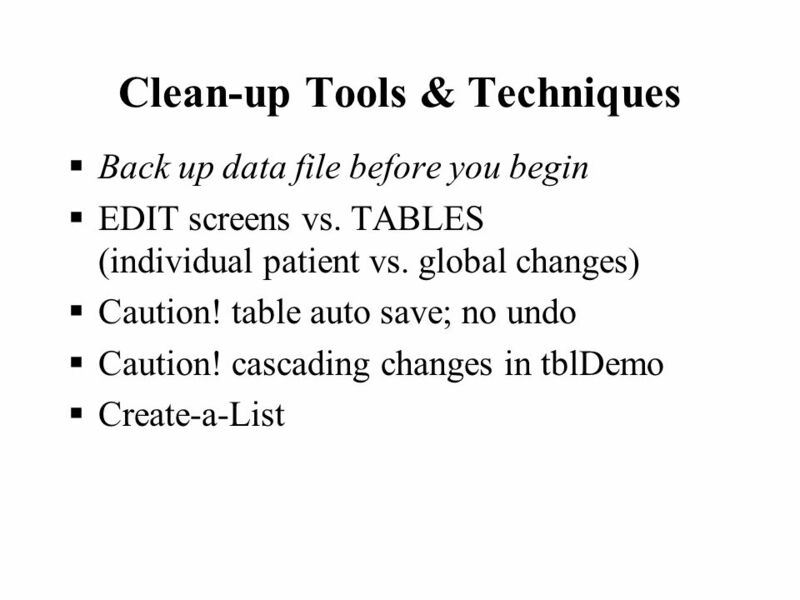 Maintenance Modifying the data –Add records –Delete records –Update records Modifying the design –Add fields into tables –Remove fields from a table –Change. Chapter 9 THE ACQUISITION CYCLE— PURCHASING AND RECEIVING. Access 2007 ® Use Databases How can Microsoft Access 2007 help you manage a database? National Reminders - Diabetic Foot Exam. 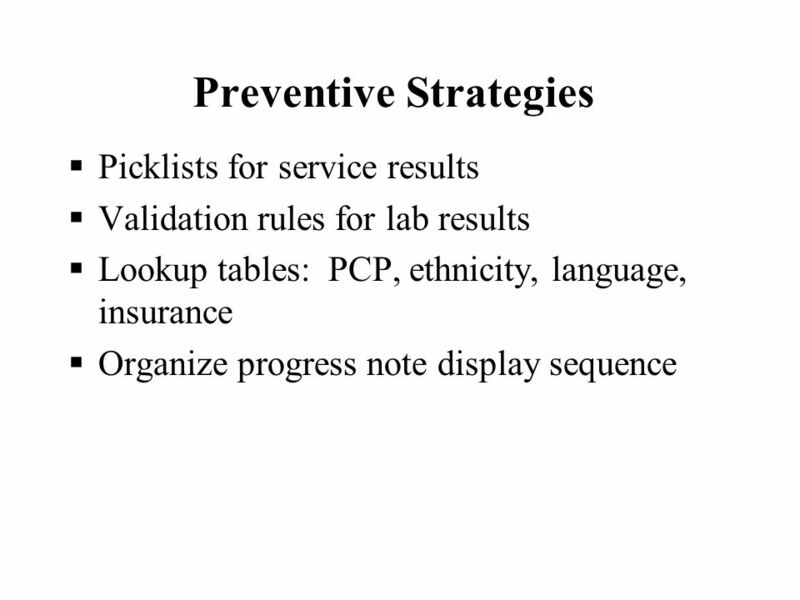 Introduction The national reminders are in Patch 1005 of clinical reminders. The site manager should load this. Configuring Maximo using RulesManager Michael Tubbs. 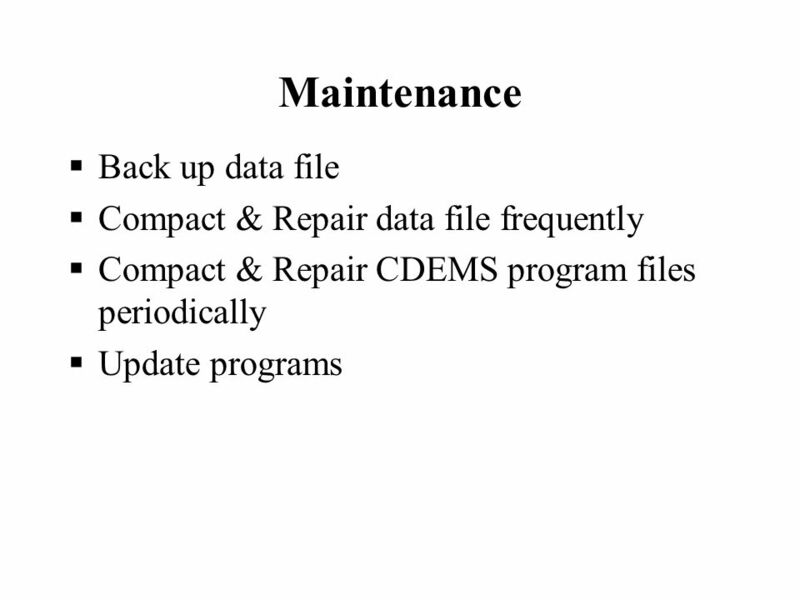 What Are File Maintenance Techniques and Validation Techniques? Lytec Medical XE New Feature List. 2 What’s new with Lytec Medical XE? 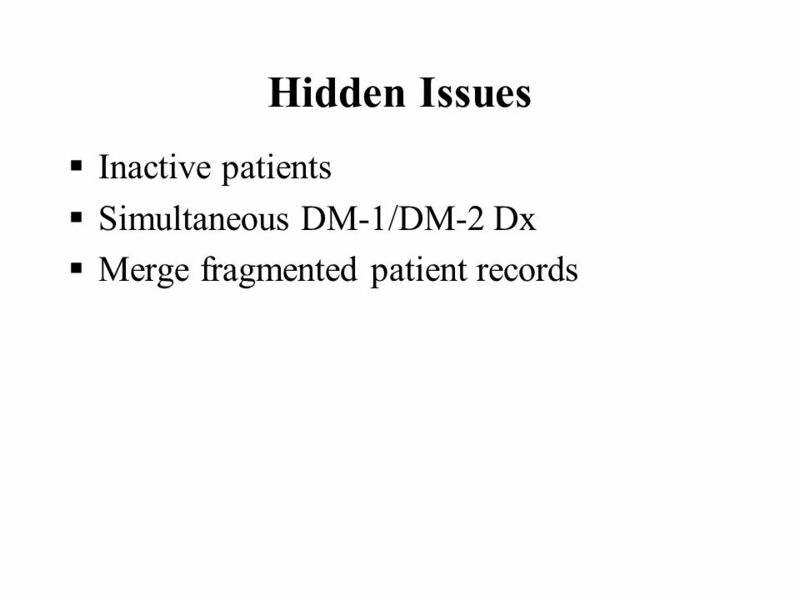 Features: –HIPAA features –Timesaving features –Miscellaneous features New product. 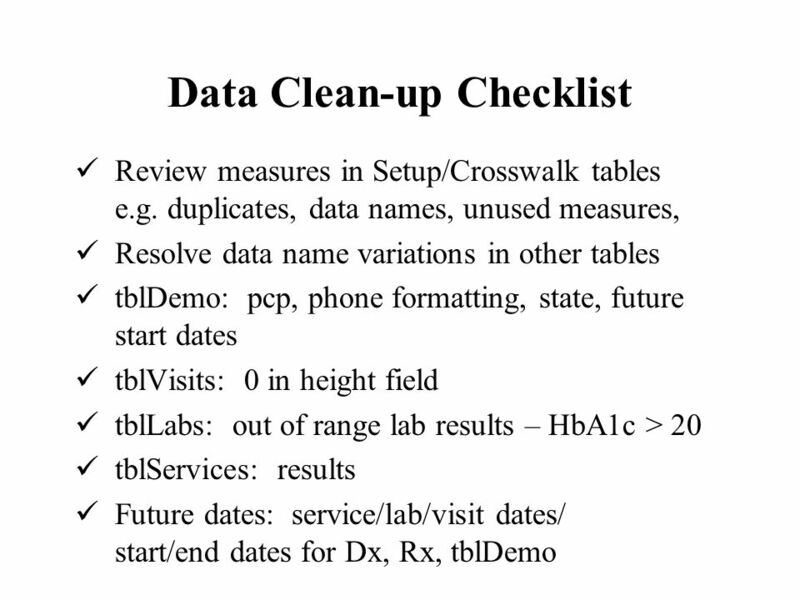 © Boardworks Ltd of 20 Databases Software For more detailed instructions, see the Getting Started presentation. This icon indicates the slide contains.  EcoMed Services is a fictional lighting company located in Kansas City, Missouri  It provides environmental friendly lighting to medical facilities. © 2008 The McGraw-Hill Companies, Inc. All rights reserved. ACCESS 2007 M I C R O S O F T ® THE PROFESSIONAL APPROACH S E R I E S Lesson 4 – Creating New. CDEMS Diabetes Electronic Management System Chronic Disease Electronic Management System zDusty Knobel yComputer Support yDiabetes Prevention & Control.